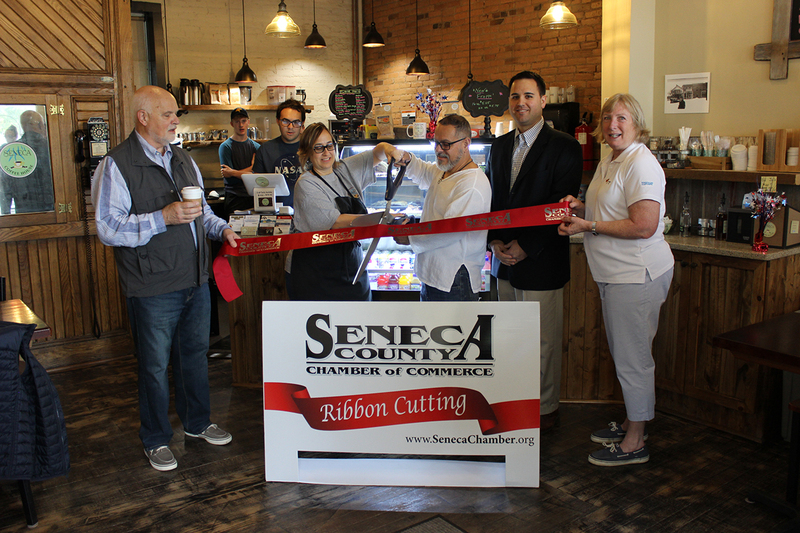 The Seneca County Chamber of Commerce recently held a Ribbon Cutting Ceremony to celebrate the first anniversary of Seneca Coffee House, 2160 East Seneca Street in Ovid on Saturday, June 2nd at 10AM. Seneca Coffee House began as a family affair in 2017. A small espresso bar in the village of Ovid, with a vision to connect with other local businesses and community members, determined to help sustain the region they reside in. Coffee beans have been carefully selected from coffee plantations in Costa Rica, bringing a slice of family history to the Finger Lakes.